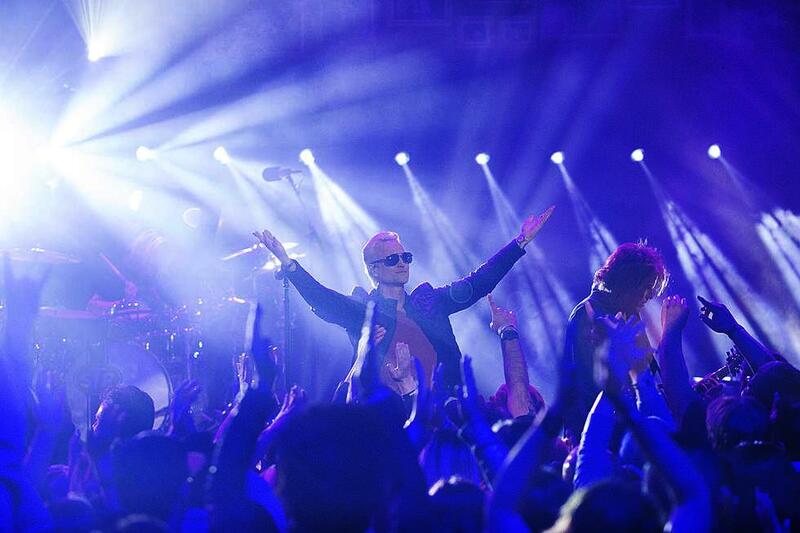 The Stone Temple Pilots have released a live performance video of their 2018 single, “Roll Me Under”, from their recent concert special on Directv’s Audience Network. The tune followed the lead track, “Meadow”, as the second song issued from the band’s self-titled album featuring new singer Jeff Gutt. The rocker was discovered by a bassist Robert DeLeo after playing a show in Detroit with the Hollywood Vampires, even though he hadn’t submitted one of the 15,000 audition tapes during an open online casting call by the group. Gutt made his live debut with the group during an exclusive show at The Troubadour in West Hollywood, CA last November before Stone Temple Pilots launched a US tour with him at The Canyon in Santa Clarita, CA on March 2.